New magazine, new recipe. 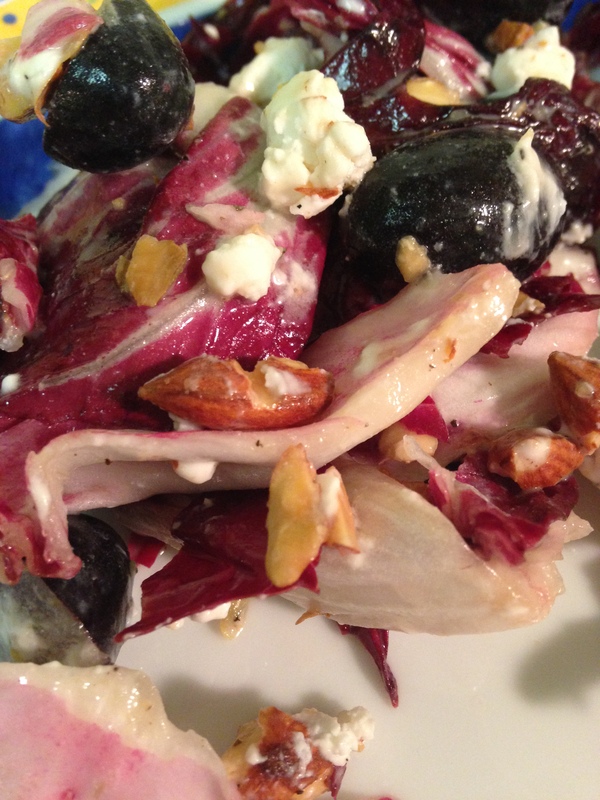 A recent one I ripped out of Bon Appetit just had to be tested…Radicchio Salad with Pickled Grapes and Goat Cheese. What the heck do pickled grapes taste like? And it was interesting when reading through the recipe because you use black vs. red grapes. -Combine vinegar, sugar, star anise, fennel seeds, red pepper flakes, 2 tsp. salt, 2 Tbsp. orange juice, and ¼ cup water in a medium bowl or glass jar; stir (or cover and shake) until sugar and salt dissolve. Add grapes and let sit at room temperature at least 30 minutes. 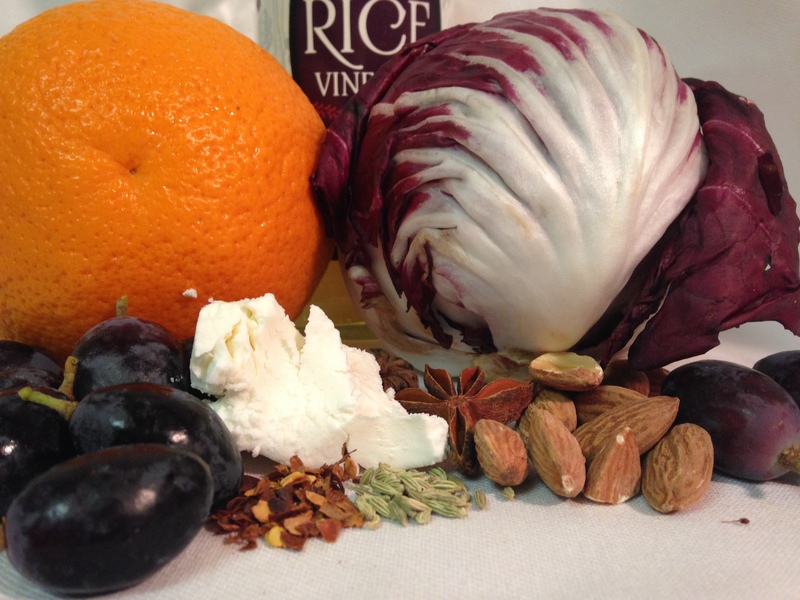 -Toss radicchio in a large bowl with oil, 3 Tbsp. strained pickling liquid, and remaining 1 Tbsp. orange juice; season with salt and pepper. Transfer to a platter and scatter drained pickled grapes, almonds, and goat cheese over top. This was pretty simple to make and had some great flavors, as well as being so fresh! Would be nice over the holidays. Enjoy. Do Ahead: Grapes can be pickled 3 days ahead. Cover and chill. This entry was posted in salad and tagged bon appetit, bulk spice, holiday, lactose free, radicchio, Salad, vegetarian. Bookmark the permalink.